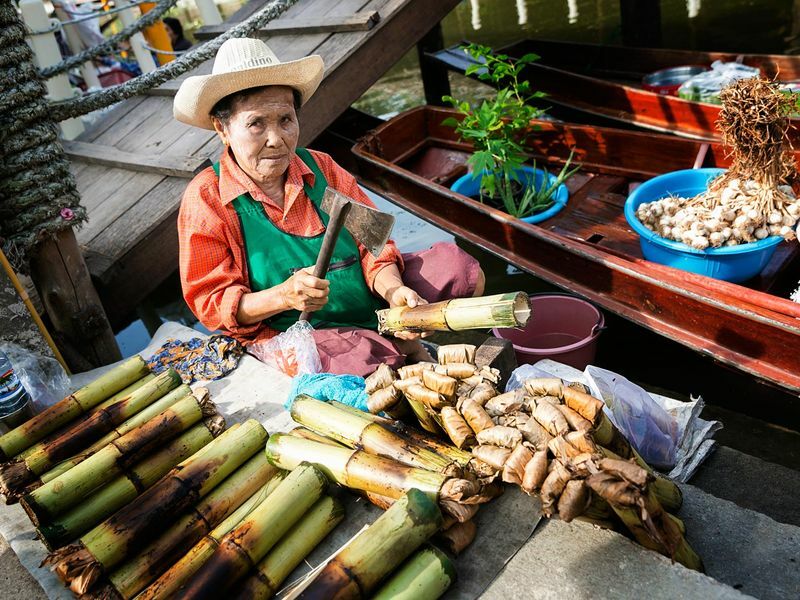 Tha Kha Floating Market is in Samut Songkram province and only 10 kilometres away from Amphawa and fruit plantations. Many local people have always been coming here on weekends since more than a century ago. 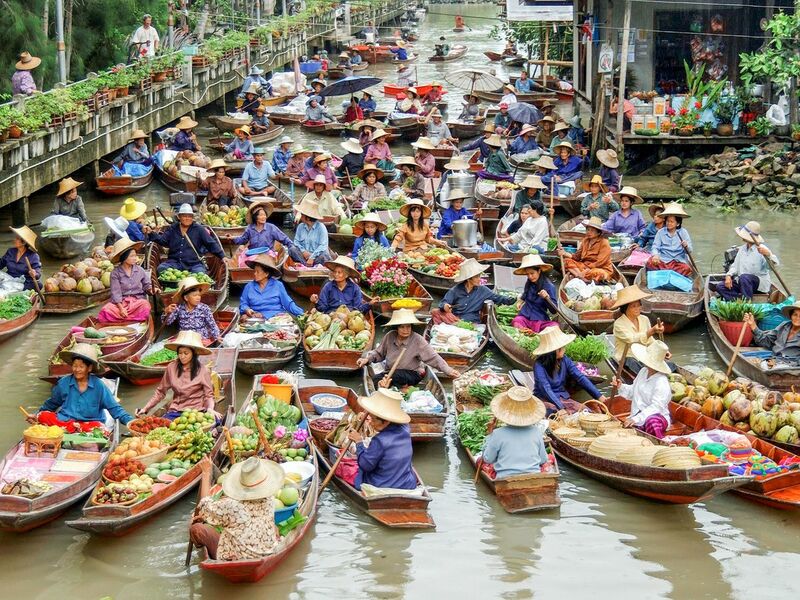 Even though, the people here encourage tourists to come to Tha Kha Floating Market, it has never been a chaos or very crowded as at Damnoen Saduak Floating Market, due to its size and a bit far away location. The main thing people do here to earn for a living is agriculture which has been passing down from generation to generation. They wake up very early in the morning to work and hide away from the sun during the day. Therefore, it is best to go to Tha Kha Floating Market in the morning, because by one in the afternoon, merchants are probably all gone. There may still be a few floating vendors offering spices, fresh fruit and a hand-woven basket to city late comers. Although, most of the vendors have gone already, there will be someone coming to you and offering a boat tour for 50 THB. As you float along the river, there will also be a guide telling you stories. It will be a completely peaceful, relax and noteworthy journey for you. 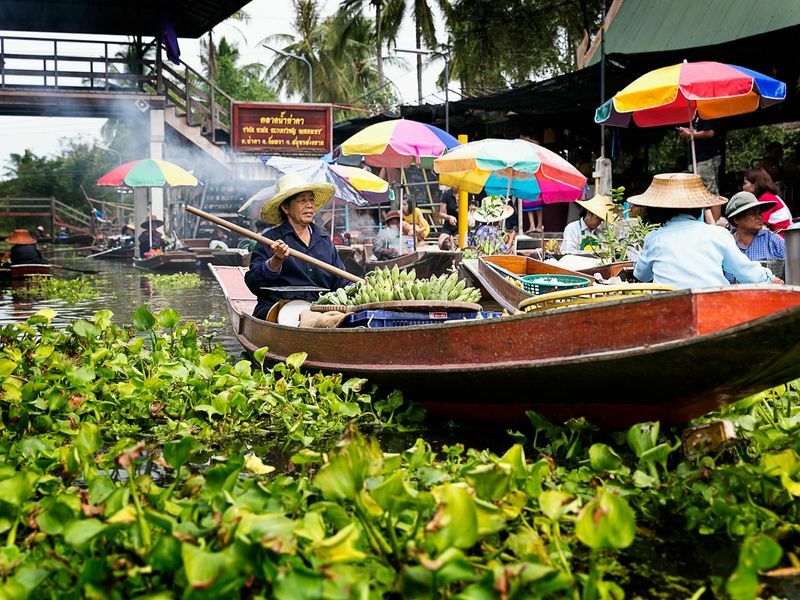 Tha Kha Floating Market is one of the most hidden gem when it comes to floating market. It's a rare sight to be found nowadays with the authentic way of life and a minimal number of foreigners. A handful of our local experts offer tours to this market to make your visit seamless and most convenient.